Excuse the pun in the title but last weekend I had a spate of taking cuttings from various plants around the garden because I get the feeling that autumn is approaching fairly quickly up here in the North East. It’s possible that there may not be enough decent weather and sunshine but we’ve had a good couple of weeks so why not try. If they don’t make then there is nothing much lost. The main reason was so that we can take some plants with us if/when we eventually move but there have also been requests from No. 1 and No. 2 daughters to have some (free) plants for their gardens. As with most things in the garden, I am no expert on taking cuttings but I do have an old copy of The Tree & Shrub Expert by Dr D G Hessayon so what could possibly go wrong? In the end the plants that I “attacked” with the secateurs for the first batch of cuttings were Philadelphus, Rose, Euonymus, Hebe and Lavender. 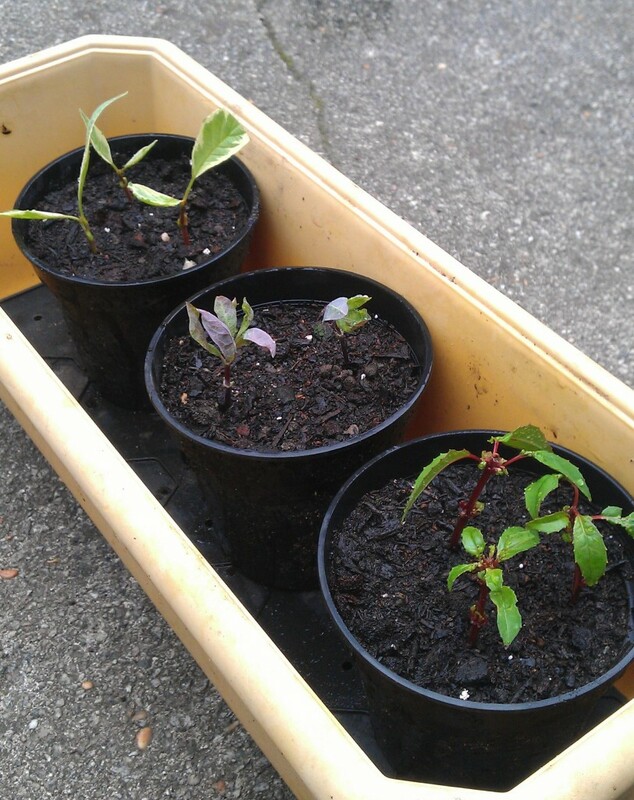 It didn’t take that long to get these prepared, dipped in rooting hormone, firmed into the pots and lightly watered. 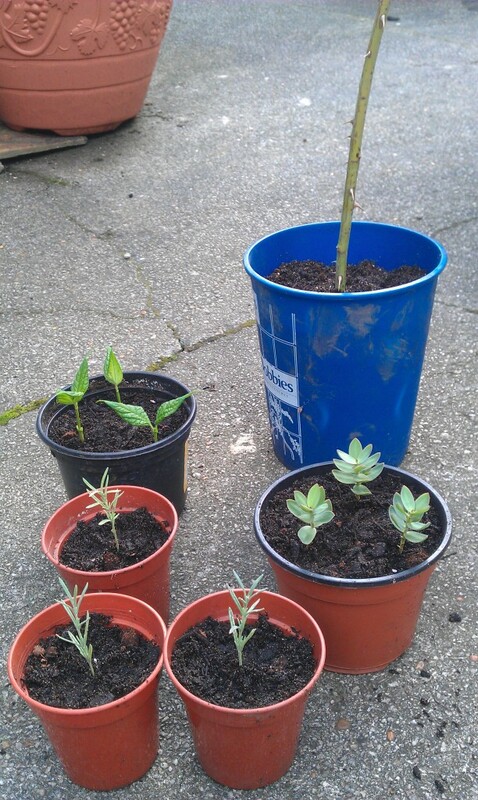 I find that there is something very satisfying about planting up pots whether cuttings or seeds. There were still some spare plant pots and I had a few old compost bags each with a little bit left. It made sense to keep going at least until I run out of space to put them all but maybe mixing old houseplant compost with the old other slightly dried out left overs was not the best approach. Next to receive an assault with the secateurs was Fuchsia, Bay, Lonicera and Cornus. In the case of the Lonicera for example I already had some success a few years ago with another cutting so I have high hopes for that! Most are still alive for the moment and they are happily zipped up in the cheap plastic “greenhouse” I bought in the spring. However I’m definitely starting to notice the days getting shorter and I’m not convinced that all of them will make it.